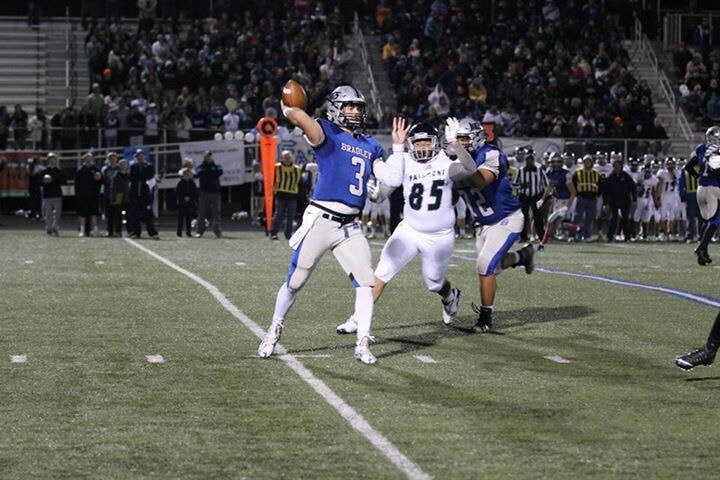 This 6-1, 180-pound senior became the third quarterback in as many seasons to lead Hilliard Bradley to a Division I playoff berth and an OCC-Cardinal title. 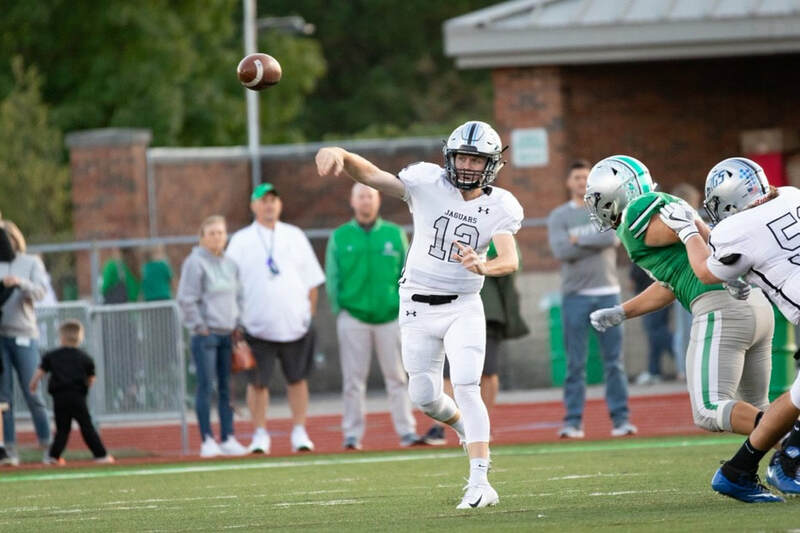 Veil completed 172 of 267 passes for 2,541 yards with 25 touchdowns and seven interceptions and rushed for 261 yards and four scores on 95 carries. He was named first-team all-state, district Offensive Player of the Year and league co-Offensive Player of the Year. The Jaguars went 9-2 overall, losing to Pickerington Central 14-13 in the first round of the Region 3 playoffs, and 7-0 in the OCC-Cardinal. They have won 16 consecutive league games. “Griffin is a tremendous leader who had full control of the offense and had a great understanding of our game plan,” coach Mike LoParo said. 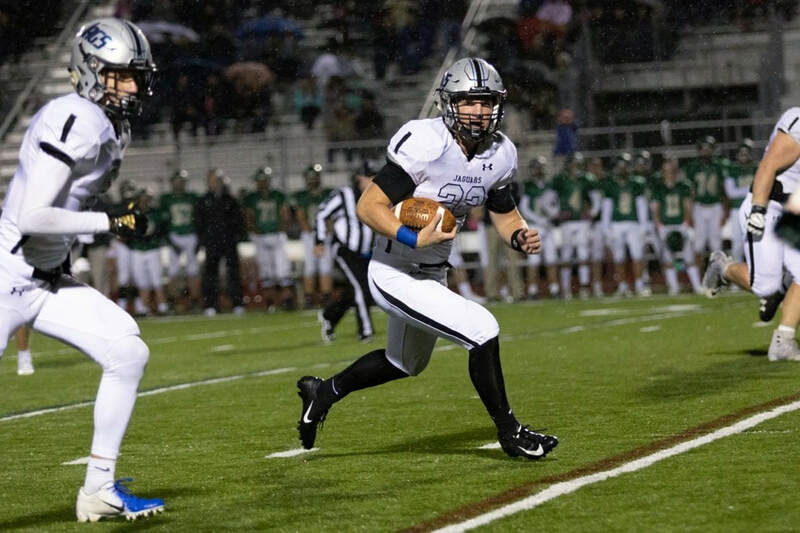 This 6-2, 215-pound senior linebacker anchored the defense for Hilliard Bradley, which finished 9-2 after falling to Pickerington Central 14-13 in the first round of the Division I, Region 3 playoffs. Blauser led the Jaguars with 98 tackles and 7.5 tackles for loss and had three sacks, two fumble recoveries, one forced fumble, one interception and one safety. 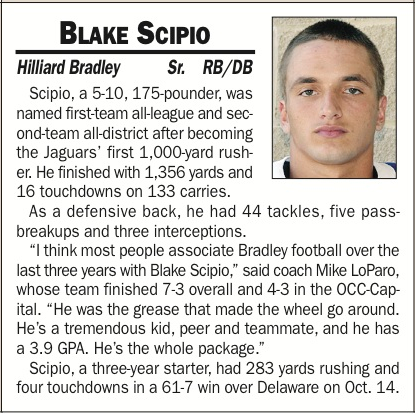 He was named first-team all-state and all-district and the OCC-Cardinal co-Defensive Player of the Year as Bradley won its third consecutive league title. An Ohio University commit, Blauser was second-team all-state, first-team all-district and league Defensive Player of the Year as a junior. 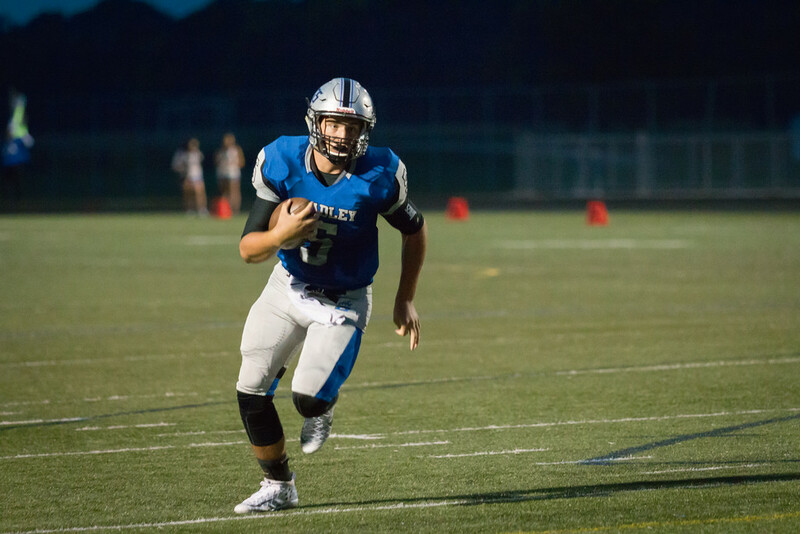 The 6-4, 225-pound senior for Hilliard Bradley was one of the state's top quarterbacks. Phillis completed 205 of 315 passes for 2,508 yards with 27 touchdowns and four interceptions, helping the Jaguars go 9-2, earn a share of their first league championship and reach the playoffs for the first time. He also is Bradley's career leader in passing yards (4,517) and touchdown passes (46). Phillis was first-team all-state and district Offensive Player of the Year in Division I as well as OCC-Cardinal Player of the Year. "Will is the kind of kid you get once in a career, if you're lucky," coach Mike LoParo said. "He can make any throw on the field and is a really intelligent kid who can run the offense for you." 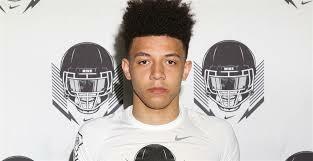 Anderson emerged as one of the area's top wide receivers, helping Hilliard Bradley finish with a program-best 9-2 record and reach the playoffs for the first time, losing 49-21 to Pickerington North in a Division I, Region 3 first-round game Nov. 4. 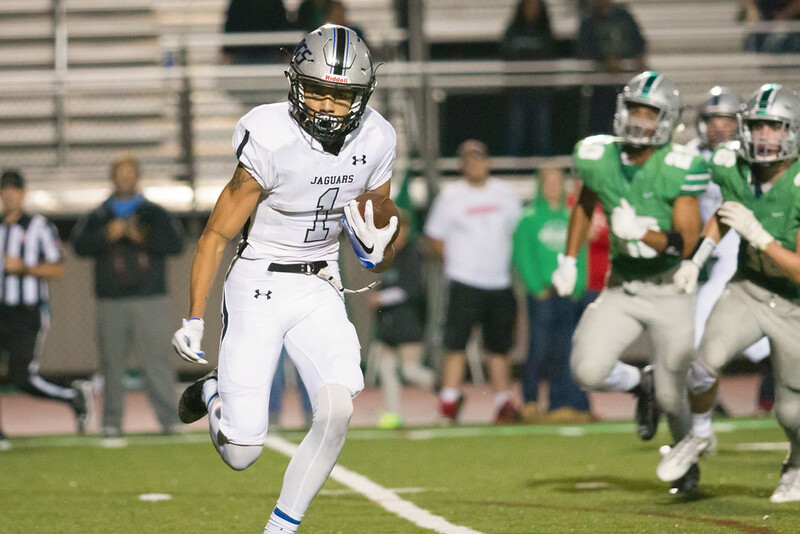 The 6-1, 170-pound junior had 77 receptions for 1,070 yards and 15 touchdowns and was named first-team all-state, all-district and all-OCC-Cardinal, as the Jaguars won their first league title, sharing the championship with Dublin Jerome. "Daevon is extremely athletic and gets the most from his abilities," coach Mike LoParo said. "He has a great ability to challenge downfield and is a good route-runner. He also has great hands and is a challenge for anyone to cover." This 5-10, 200-pound senior made his mark at linebacker for Hilliard Bradley, setting the program record for tackles in a season with 107. He also had four forced fumbles, two fumble recoveries and two interceptions. Wall was named first-team all-district and all-league. The Jaguars finished 7-3 overall and 5-2 in the OCC-Cardinal. "Chris, physically, is all about fast-twitch," coach Mike LoParo said. "He's an explosive kid who is very physical at the point of attack. He's intelligent, he knows what he's looking at and what he needs to do." Wall owns the program record for career tackles (249). "Chris uses his hands as well as anyone I have coached," LoParo said. "He understands how opponents are going to come at him and block him. He will not stay blocked."